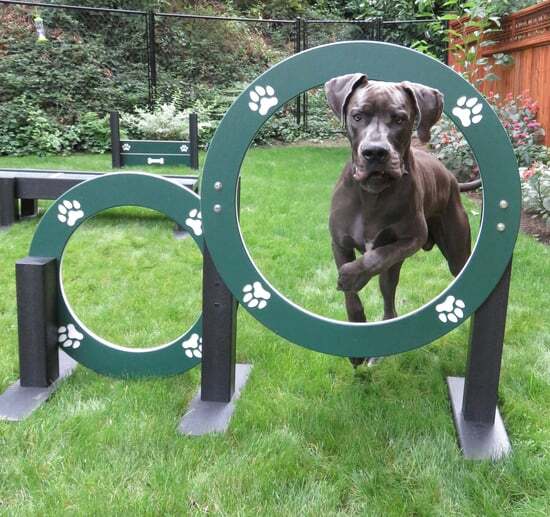 An eco-friendly version of our popular hoop jump. Versatile mounting options make this ideal for public/private dog parks, doggy daycares, boarding facilities, and more. No need to dig concrete footers! 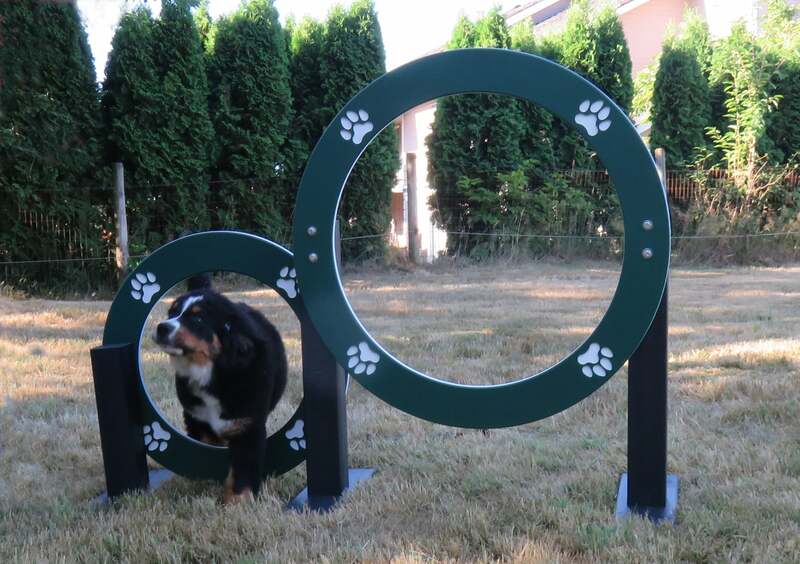 The EcoDog™ components feature one base with two easy set up options: They are stable enough for portable use in seasonal parks or rooftops, and can easily be drilled to accommodate landscape stakes for more permanent installations. 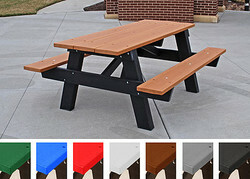 Note: Mounting hardware not included. Free customization! 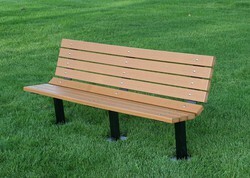 Add your community or park name, or highlight a sponsor/donor. 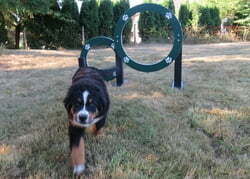 Components that offer multiple play opportunities are both space saving and ideal for all size dogs. 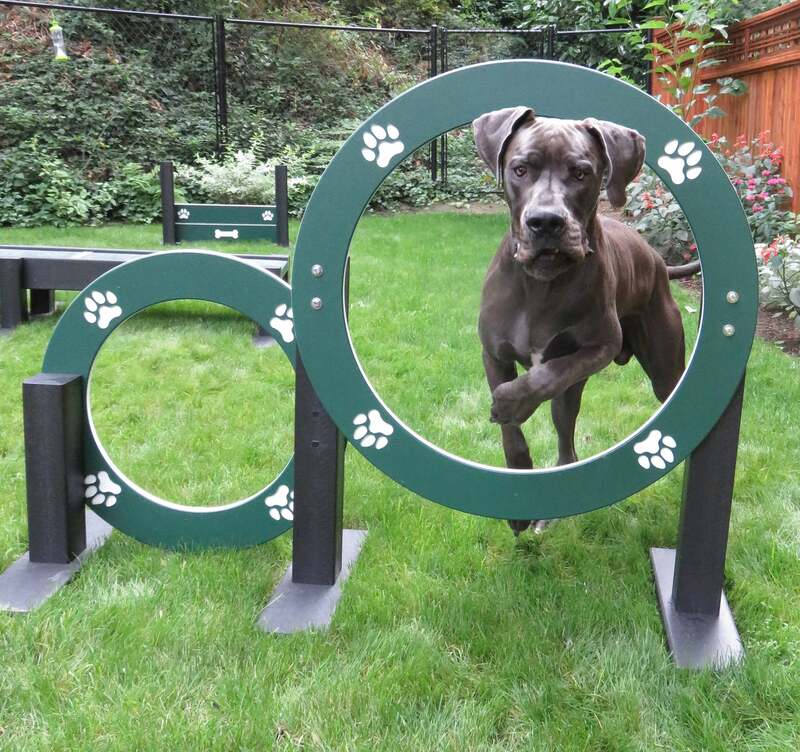 Inside diameter of the tire is wide enough for even the largest pooch like Otto - our office Great Dane! Hoop is precision-machined with fun paw details to aid with depth perception. 100% recycled materials! 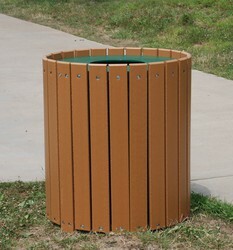 Support posts and hoops feature super durable HDPE plastic which is guaranteed not to rust, split, crack and or get infested by creepy crawly bugs. All hardware is vandal-resistant stainless steel. Ships by Fed Ex Ground. Shipping charges calculated separately.